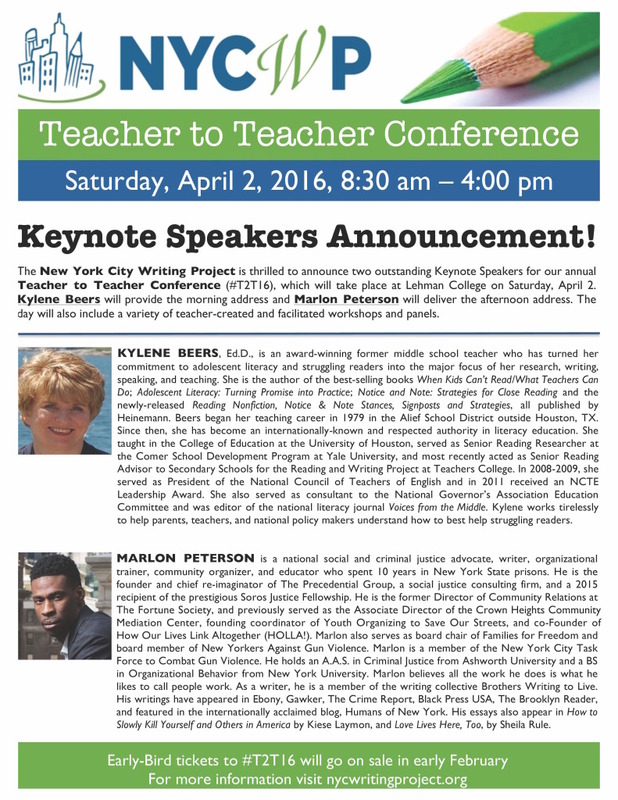 New York City Writing Project – #T2T16 Keynote Speakers Announcement! ← previous Winter Writing Marathon at MCNY! next → We're Taking the Met again on 5/20/16 - Save the Date!